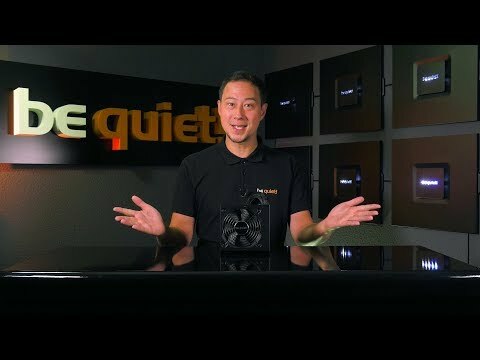 Specially designed by be quiet! 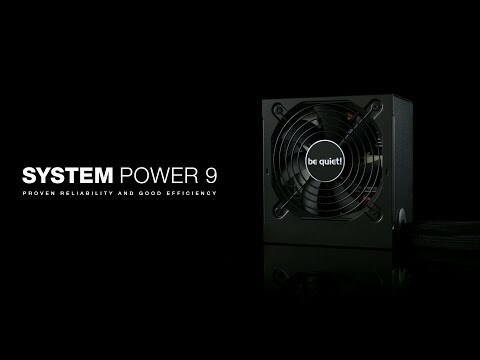 with the price-conscious PC builder in mind - the System Power 9, featuring true be quiet! reliability with two 12V-rails for rock-solid voltage stability. The series is certified 80PLUS® Bronze efficient and able to support multiple GPUs with up to four PCIe connectors provided. System Power 9‘s combination of power and quietness for a PSU of its class and efficiency is far beyond ordinary, making it possible for you to build cost-effective and reliable systems - a key differentiator in an era of nearly identical commodities. Features • Rock-solid stability with two strong 12V-rails. • DC-to-DC technology for tight voltage regulation. • Multi-GPU support with up to four PCIe connectors. • Temperature-controlled 120mm fan reduces system noise. • 80PLUS® Bronze efficiency (up to 89%). • Complete suite of top safety features. • Meets latest Intel® C6/C7, ErP and Energy Star 6.1 guidelines.